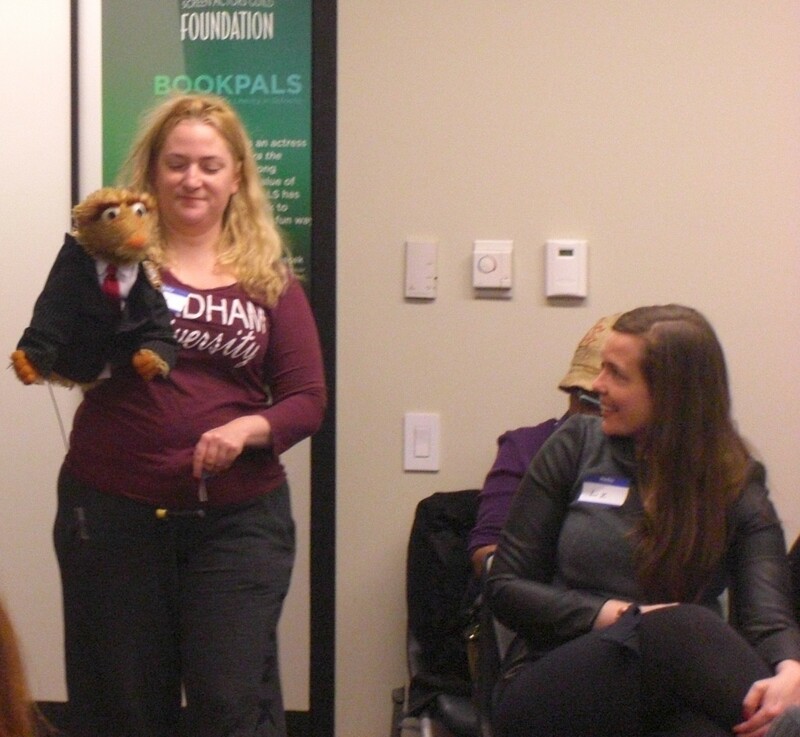 This past week BookPALS were joined by New York Puppeteer, Gwen Dean. 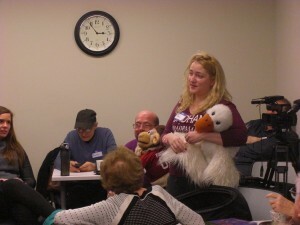 Gwen Dean discussed her own path to becoming a puppteer. Gwen showcased her hand-made puppets and shared tips and tricks for incorporating puppets in BookPALS read-alouds. 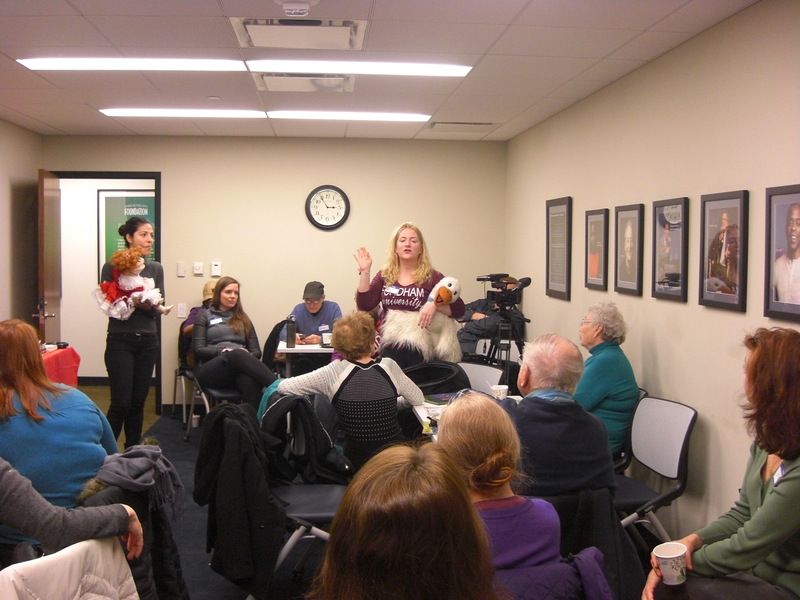 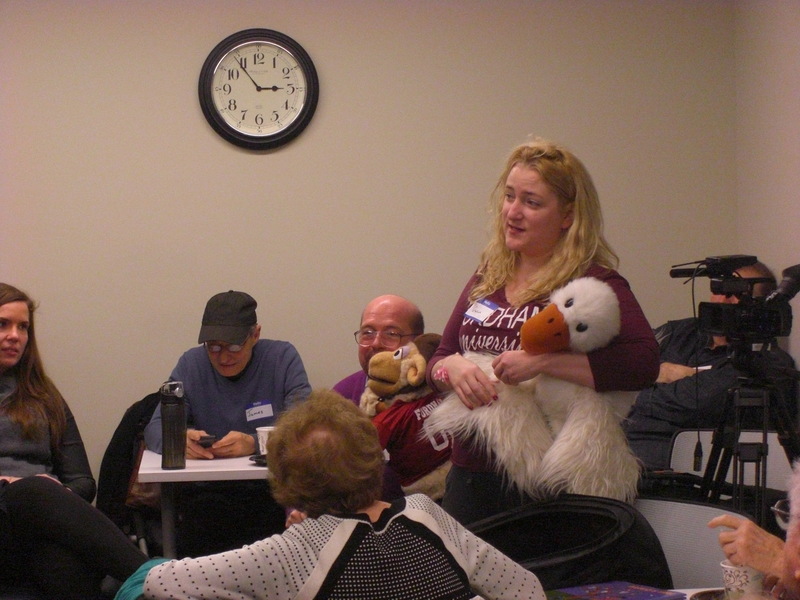 Everyone was thrilled to see how easy and fun the puppets were to play with, even Liz Spaulding (SAG Foundation New York Executive Director) was on hand to play. BookPALS were so happy to host Gwen at their monthly coffee gathering.